Last year ESP gave me a travel scholarship to attend an IUFRO (International Union of Forest Research Organizations) conference in Freiburg, Germany. During that conference, I noticed a lot of green and solar roofed "garden sheds" but upon closer inspection realized they were bike parking for the many, many bikes in Freiburg. I got to thinking we could borrow that idea in Rochester and use MN wood to build bike parking infrastructure here. Upon my return last fall, I pitched that idea to the MN Wood Innovation team for which I am a member. We were ending a 3-year USFS grant to develop new wood markets and my focus was on wood utilization in Rochester. 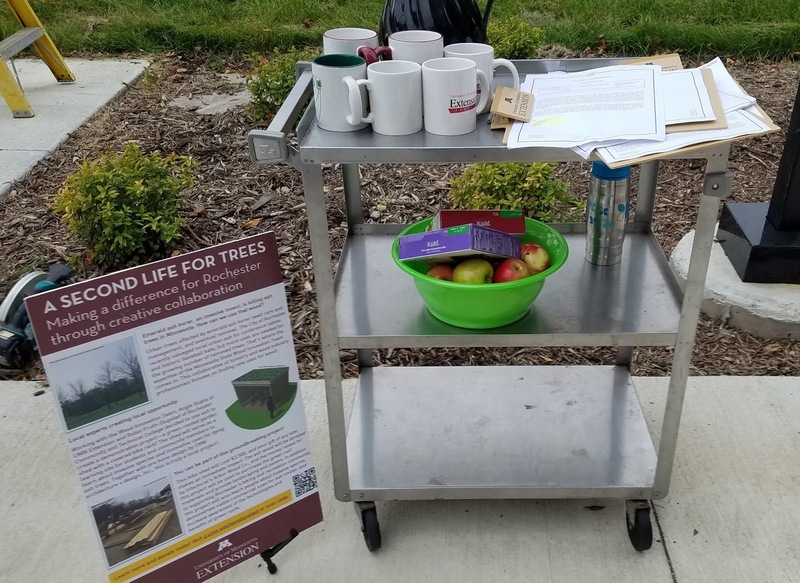 The grant team helped get MN ash wood donated. I found an architect willing to do the design pro bono, I'm actively crowd sourcing the money (feel free to contribute, or post on social media! http://z.umn.edu/woodenshed). 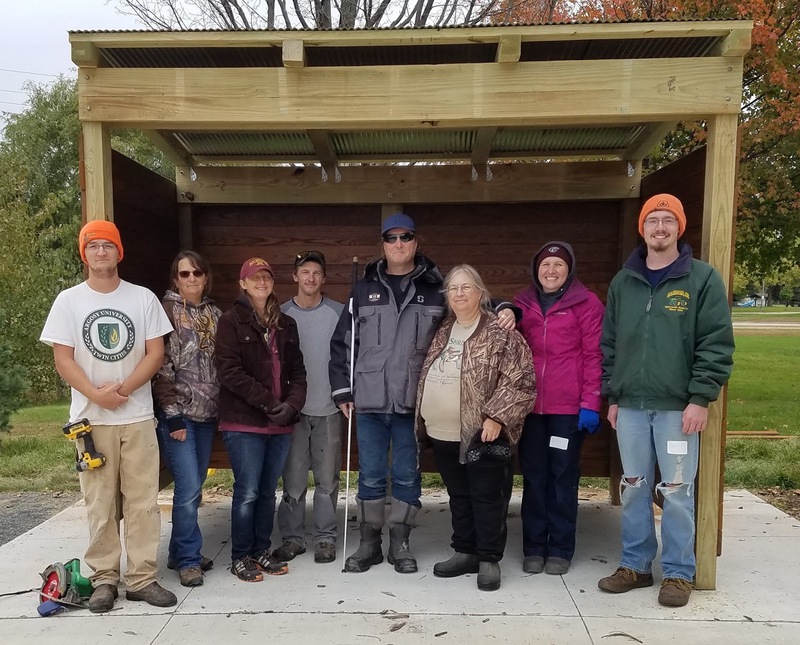 I also worked with the Rochester Community and Technical College (RCTC) Horticulture program to build and maintain the shed and green roof. 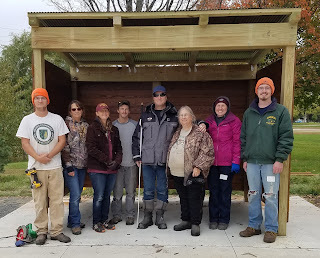 On September 29, 2018 we built the bike shed at RCTC (also where the Extension Regional office is)! It's a little hard to believe it all came together in a year! I thought ESP would like to know how it's scholarship helped to create a pilot project to explore new markets for local wood sustainable within a year.